As half the year has already gone by, we now arrive at the epoch of welcoming the festive season. 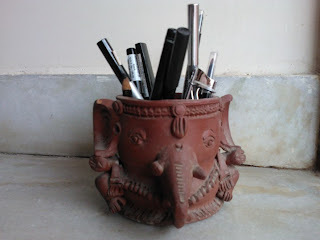 Raksha Bandhan being just around the corner, brings in with itself back-to-back months of celebrations and conviviality. It is during this long ceremonial time, us girls need all the help we can get to make sure we’re looking nothing short of sparkling when we are on all VIP guest lists. Just in time for the festive period The Nature's Co. experts have compiled the ultimate everything-you-need-to-know-and-bring festival beauty guide, so that you can look utterly flawless. 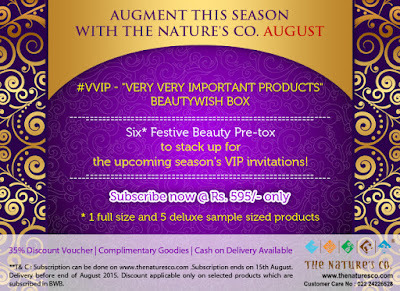 Keeping all the upcoming hullabaloo in mind, TNC curated the #VVIP Very Very Important Products BeautyWish box for the month of August. 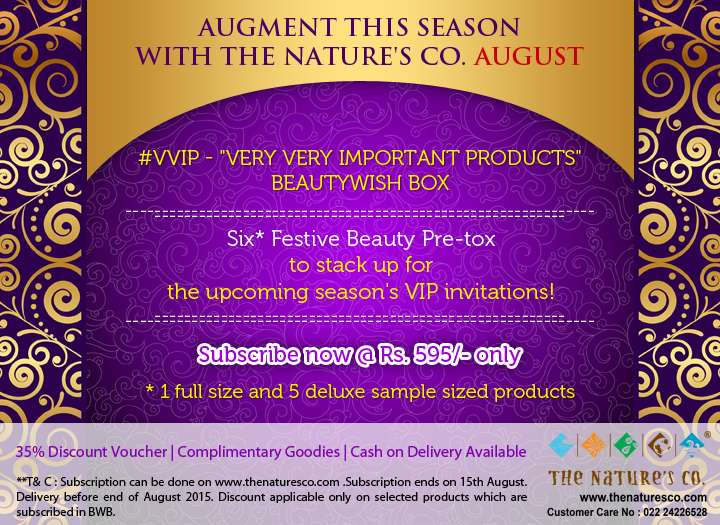 Affirming to make you look and feel fabulous this season, The Nature's Co. pick of the best six detoxifying beauty products to prepare your skin, hair and body for the fete and help make the festive binge totally worth it! Dazzle with the beauty routine that will leave you festive-ready and gorgeous. Get in the spirit with the pre-jubliant pamper of six products (1 full sized and 5 deluxe sized) packaged in an attractive ethnic bag at Rs. 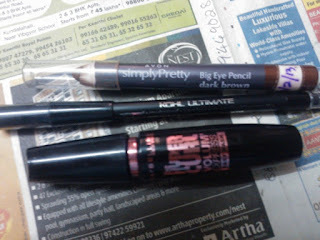 595/- only along with 35% discount vouchers, complimentary goodies and cash on delivery option available. Everyone has their own definition of beauty. Some associate it with a flawless complexion. Others equate beauty with harmony – the inner light that radiates through the skin. Throughout the ages, people have always hunted for treasure to find the ultimate secret for one's radiance, sheen and brilliance. Back in the Gold Rush era, thousands set off in search of treasure, but only a few found it. Today, treasure is closer at hand – and, with The Nature's Co., you can always be sure of finding it. After all, each product is meticulously prepared using natural treasures of Mother Nature and is geared towards the individual needs of the skin, body and hair. Purifies and hydrates ageing, dry or flaky skin. Get a bath treat with the unique, woody aroma of Sandalwood. It purifies and hydrates ageing, dry or flaky skin and its astringent action balances oily skin conditions. It’s even recommended for calming and relaxing the body and mind. This heavenly cleansing body wash lathers up in the bath or shower. Gives radiant glow; Purifies skin; Removes excess oil & makes skin fresh, clean & acne free. 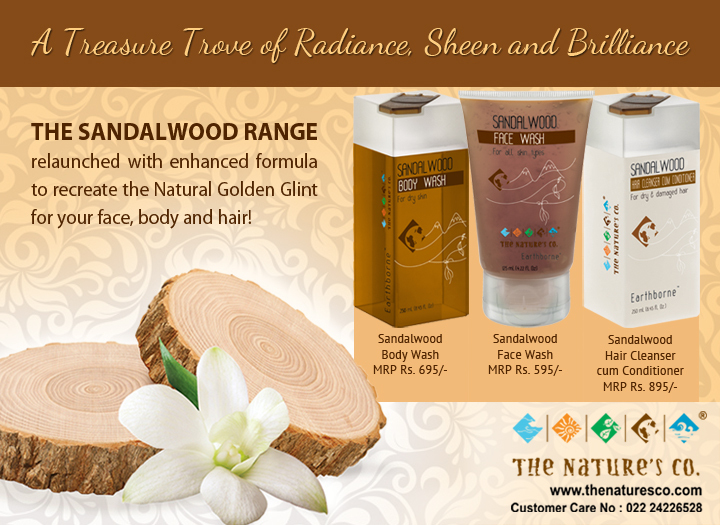 Sandalwood is truly one of nature’s most versatile skin-care remedy used since centuries. It nourishes and moisturizes your skin giving a radiant glow, while it’s antimicrobial, inflammatory and purifying properties removes excess oil and toxins from your skin by increasing blood circulation making it clean, fresh and acne free. Repairs dry, damaged & chemically treated hair; Cleanses & Conditiones; Nourishes & Moisturizes. Give life back to your dry, damaged chemically treated hair with the goodness of this 2 in 1 Sandalwood shampoo and conditioner. It nourishes and moisturizes your hair deeply and forms a protective barrier for further damage resulting in soft, lustrous and manageable tresses throughout the day. Editor's note- "Hmmm Sandalwood sounds so good!!! it is one of my favourite scents.Let me know which is your favourite scent in the comments section." LOTD: What I wore for a lunch with school friends.